I decided to shake things up a bit last weekend! 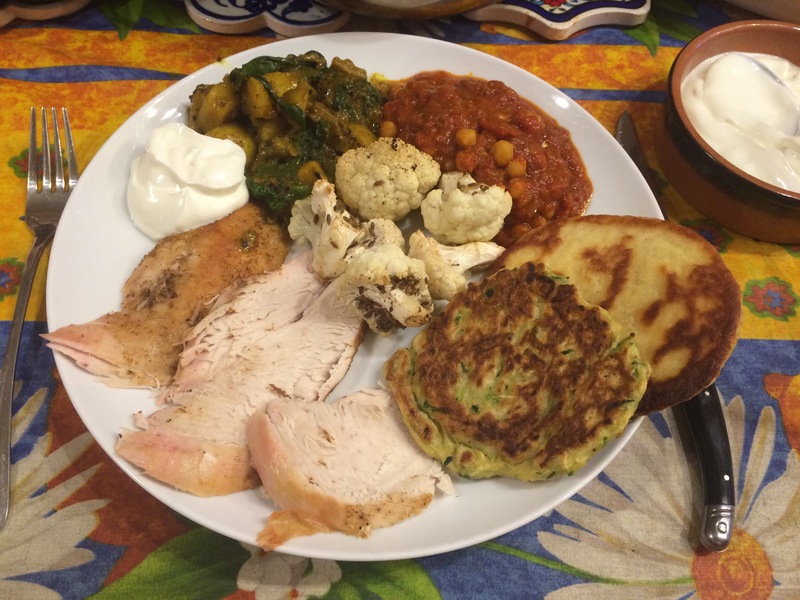 Instead of the normal roast chicken and veg I decided to stretch my culinary wings and do Spicy Indian Roast Chicken with Indian side dishes. It was a big hit and leftovers worked brilliantly in wraps and sandwiches! 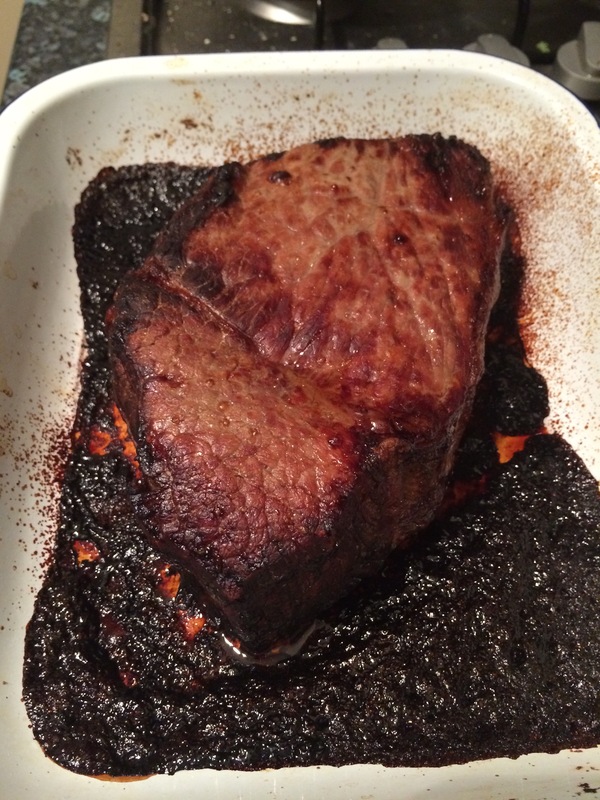 I used a simple dry spice rub to get a bit of flavour in to the meat. 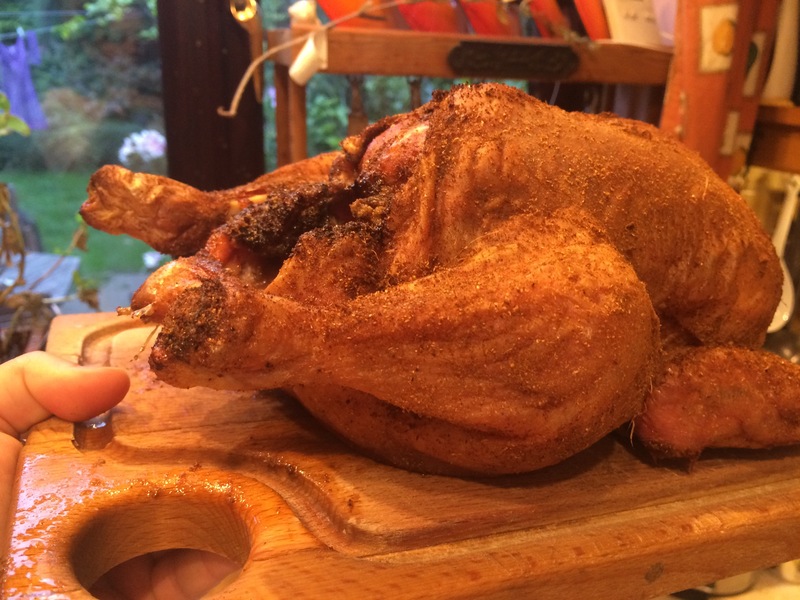 Easy to do, the only tricky part is getting the rub under the breast skin but that’s just because I’m squeamish about it! Heat the oven to gas mark 5 / 190C. 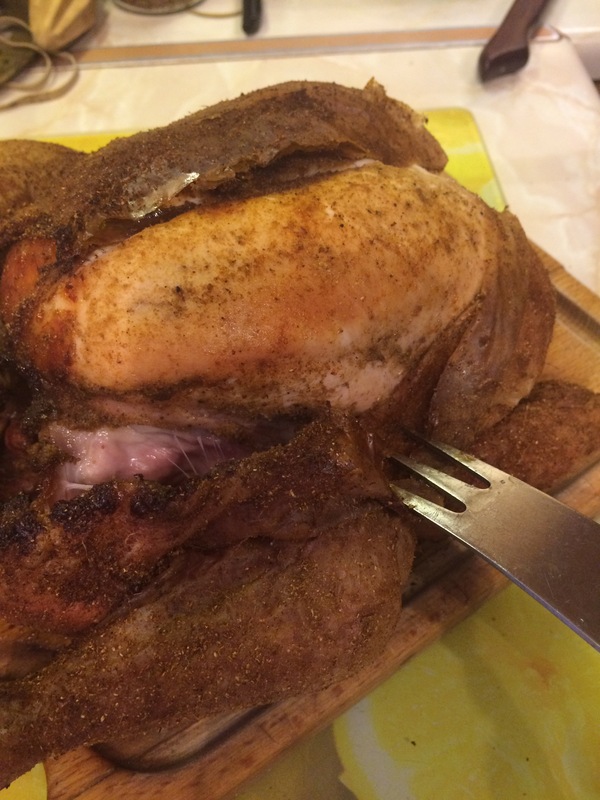 Place the chicken in a suitable roasting pan. Make a few scores in the skin of the legs. Mix all of the spices together in a small bowl. To get the rub under the breast gently skin pull the skin up from the opening and snip the centre join to form one large pocket. Carefully rub the rub inside the pocket. 2 x 2.2 = 4.4 x 25 =110 + 25 = 135 minutes So 2 hours 15 minutes cooking time. This recipe is a nice, easy, way of pepping up your potatoes a little. For very little effort you get a whole lot of flavour and an absolutely gorgeous texture you usually only get with twice cooked chips! The smell of the roasted herbs is amazing too! 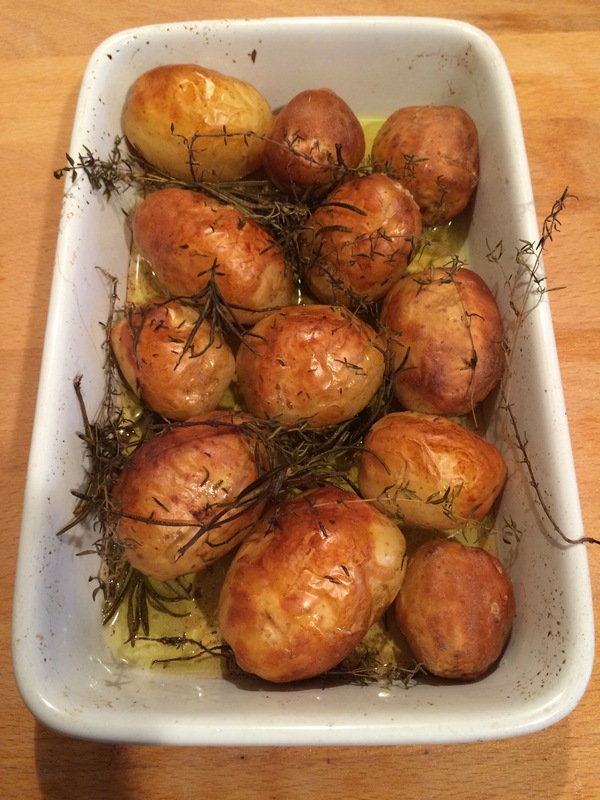 These were cooked alongside a roast chicken and the whole kitchen smelt so good! 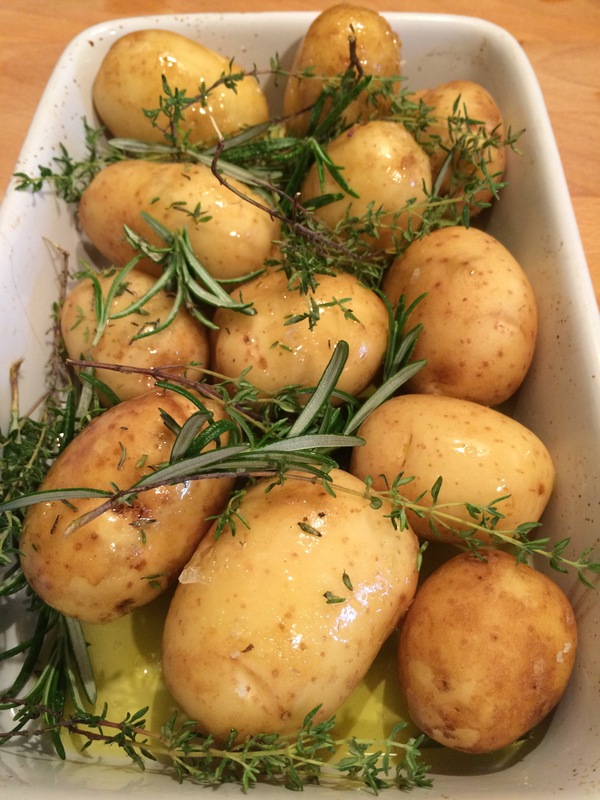 – Take a bag of new potatoes and place them in a nice oven dish. – Sprinkle with a pinch sea salt. – Scatter with sprigs of fresh rosemary and thyme. – Put in the top of the oven for 1 hour at gas mark 5. 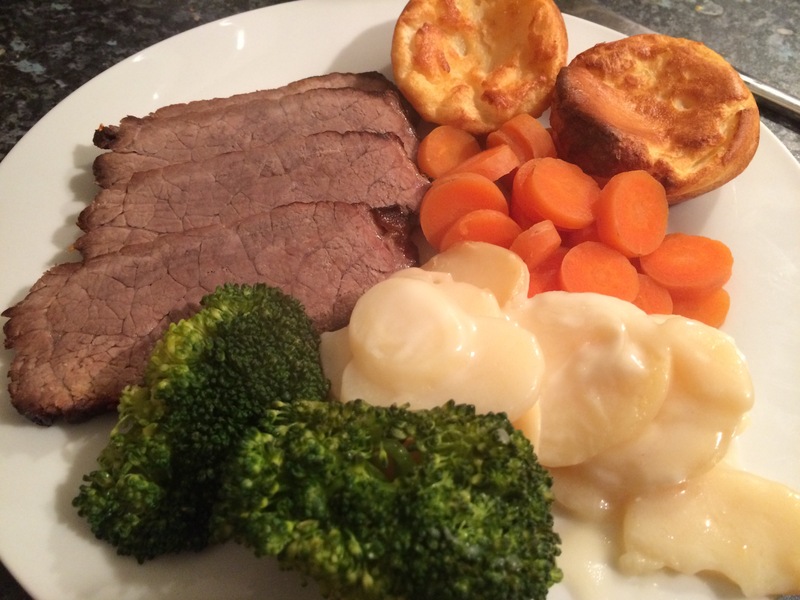 I have eaten many many roast dinners in my time but it is actually quite rare that I get to cook one myself. So it was with great joy that an alignment of a bargain joint of beef and a free Sunday evening coincided to allow me to do my own roast beef for the first time! Now the roasting of a joint of meat is pretty simple. It just involves a bit of maths! So, say you have a 1.5kg joint and you want it done medium. Therefore you cook your beef for 1 hour 45-50 minutes and Boom! Roast Beef! Let your beef rest for 15 minutes or so before carving. If you use a roasting dish that you can then apply direct heat to you can add boiling water, a beef stock cube and a few tsp cornflour mixed with a tiny splash of water and mix it all together on the heat for gravy. Stir it well scraping up all the meaty juices and allow to thicken over a medium heat.